In this exceptional swamp environment within the splendid Sinis Peninsula, you will experience the singular sensation of continuity between land and sea. 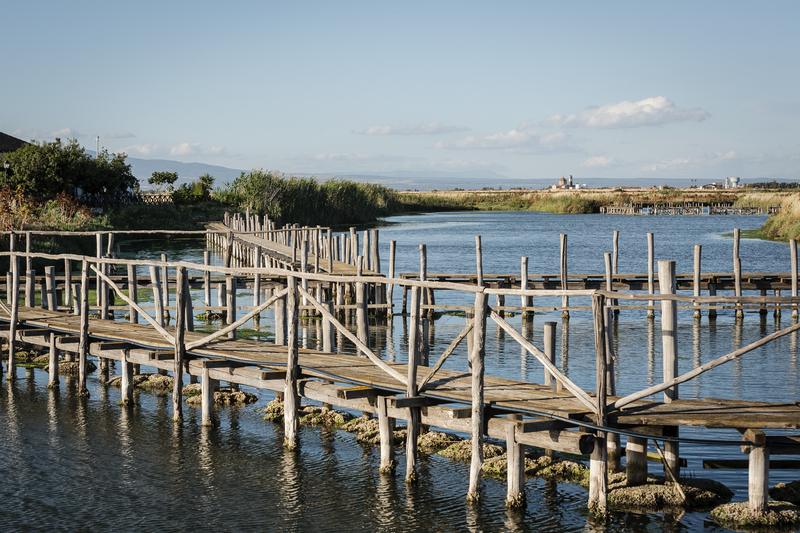 The Cabras pond, one of Europe’s largest, forms, with the humid areas of Mistras, Pauli ‘e Sali and Sal’e Porcus (which is part of the territory of Putzu Idu), a site of international interest, according to the Ramsar convention. 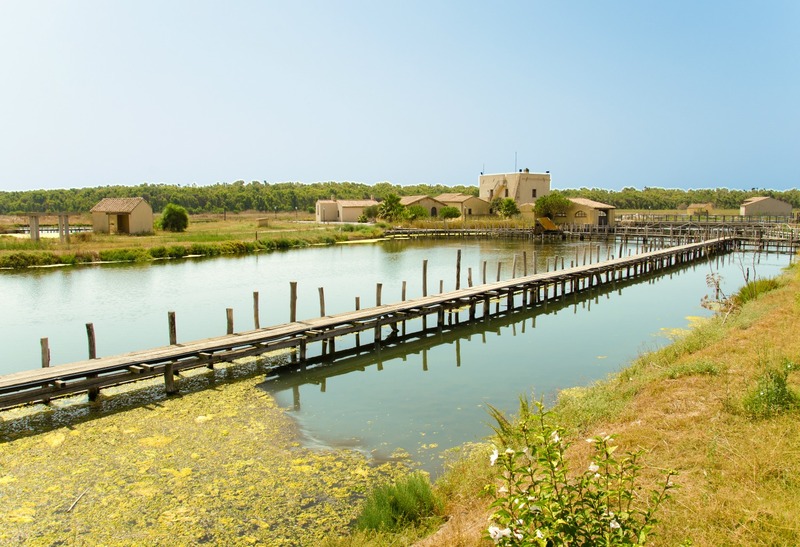 Subdivided in two basins, for a total of 2,200 hectares, the pond touches Cabras and occupies a fifth of its territory, with a particular duck shape when seen from above. 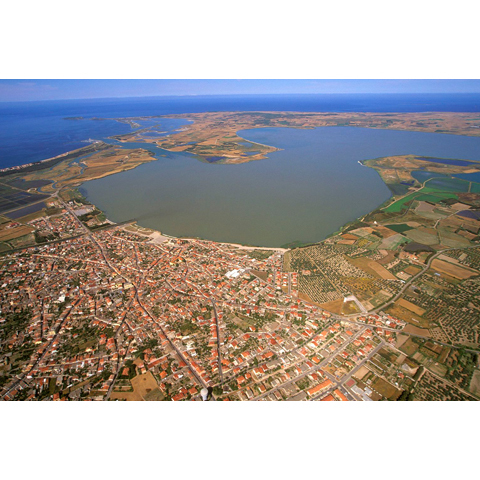 The lagoons are the dominant features, identifying this part of the Oristano area and providing its inhabitants with life and trade. This heritage is accurately protected: the 40 kilometres of coast that Cabras overlooks are part of the Sinis Protected Marine Area, where splendid quartz beaches alternate with tall cliffs. Traditional fishing is a local source of income and part of tradition. Fishing is done on is fassonis, boats made of twined swamp grass, also used for artisan baskets – evidence of a centuries-old activity in waters rich with eels, mullets, sand steenbras, gilt-head breams and European seabass. 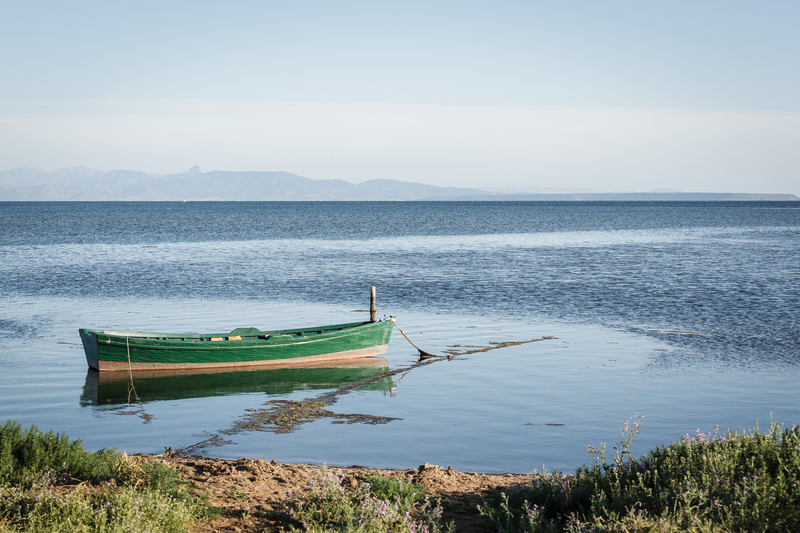 The historical Mar’e Pontis fishing grounds, with its fishing tourism, is the symbol of an area that is perfect or fishing tourism and sailing excursions, surrounded as it is by fields and hills perfect for mountain biking. 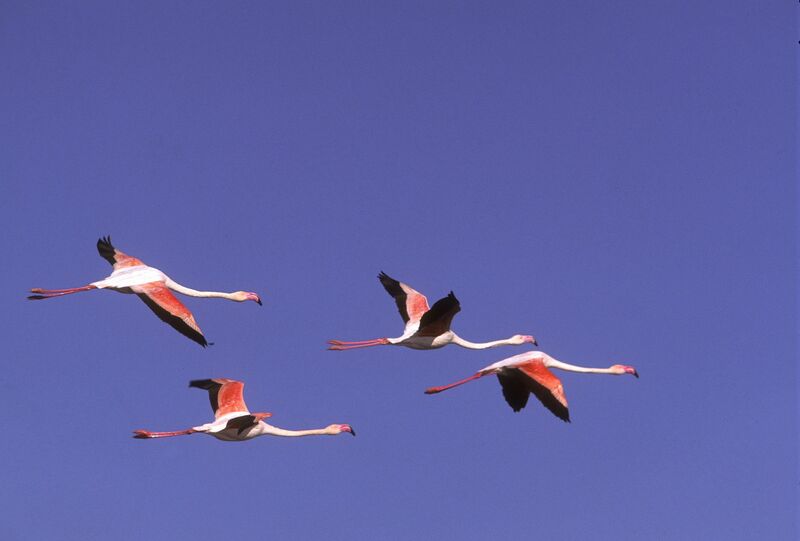 It is also the perfect place for bird watchers: these are nesting grounds for mallard ducks, red-crested pochards and pink flamingos. Among its reeds you can see black-winged stilts, western marsh harriers, common moorhens and western swamphens. Peregrine falcons, yellow-legged gulls and Audouin’s gulls fly around the rocks on the shore. This rich land has always been inhabited by humans. Do not miss the Tharros site and, at the Cabras Civic Museum, the Giganti di Mont’e Prama, enormous stone statues dated back to the 8th century BC, the most extraordinary archaeological discovery of the 20th century in the Mediterranean. A delicious local tradition is the Ipogeo di San Salvatore, a destination of the Corsa degli Scalzi that is five centuries old. The Corsa is one of Sardinia’s most interesting festivities. Local cuisine is very traditional: from mullet eggs, locals obtain bottarga, Cabras’s gold. Wine production is as old as the Nuragic age; the top local product is vernaccia. From SS 131 take the turnoff to Oristano Nord. Once in town, follow the signs to Torregrande. Drive along the road to Torregrande for about 3-4 km, then turn right towards Cabras. 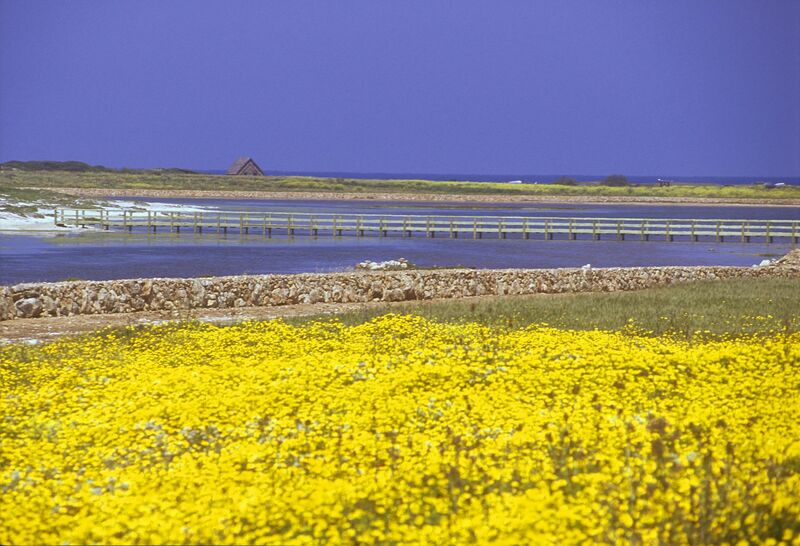 The wetland borders on the village of Cabras.